Oh my god, We’re so excited to bring you this corker of an episode. In this exciting interview, we talk mega deep with the outstandingly talented and awesome children’s author Jenine Lori! Come listen in as Jenine tells us about how she sort of ‘fell into’ writing this super amazing book titled Surprise, I Have 3 Eyes! for kids that raise awareness, build confidence and teach children to embrace their uniqueness while learning to think outside of the box. We also talk about her life experience as an artist and educator and hoe she shares innovative techniques with children to teach them to tap into their inner vision to expand their creativity. Super Fun! Is Imagination being replaced by the Internet? Have your Children Forgotten How to Dream? Are they Losing Touch with their Inner Vision? Take a listen to this episode and Discover a Story of Inspiration, Creativity, and Remembering that All is Possible! Join Joey and his magical friends on a journey through an enchanted forest as he uncovers how to see through his third eye. As Joey’s friends teach him how to perceive reality uniquely, he begins to discover a new understanding of the powers of creation. The story focuses on building self-confidence, imagination and teaching acceptance for being different while embracing the unknown. This is a playful story which seamlessly combines beautifully articulated rhythmic words with bright, vibrant, dynamic illustrations. Kids will love the happy smiling, unicorns, fairies, trolls, beautiful rainbows and enchanted creatures throughout every page. For anyone who loves the magic of creativity and expanding their vision. 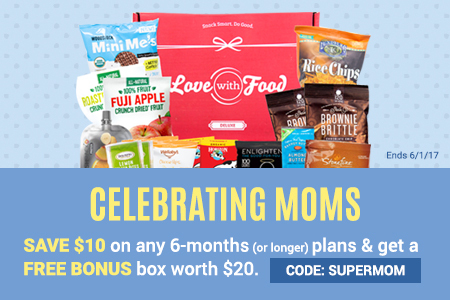 Makes a nice gift for ages 4 to 10 years. An innovative and delightful book, bound to capture the hearts of all ages. How can you buy an autographed copy? Those who desire to purchase, share, or donate an unmarked copy of Surprise, I have 3 eyes! can find it currently offered online at Amazon and Barnes & Noble. For a limited time, autographed copies can be purchased here. 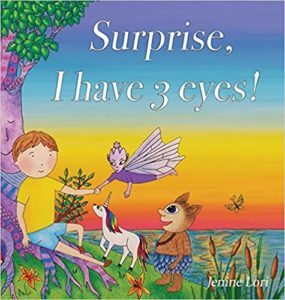 Jenine Lori is the #1 best selling author of “Surprise I have 3 eyes!”, an innovative story which encourages children to expand their vision and believe that anything is possible. Jenine writes stories that raise awareness, build confidence and teach children to embrace their uniqueness while learning to think outside of the box. She is an artist, educator, wife, and mother who’s most at home in nature and enjoys traveling and connecting with people from all walks of life. More about Jenine’s rhyming picture book Surprise, I Have 3 Eyes! More about her main character. What makes him or her unique? How does her book encourage kids to tap into their inner vision to expand their creativity? Some of the topics families can discuss with their parents after reading Surprise, I Have 3 Eyes! What can Jenine’s fans look forward to next, other projects and much more…. A big thank you to Jenine for joining us and for sharing her story! You’re going to just love hearing about Jenine’s fascinating thoughts about her book & you’re going to love this episode. Be sure to listen in! So, there you have it. We’re sure you’ve enjoyed learning about Surprise, I Have 3 Eyes! as much as we did! If you’ve enjoyed this episode then please rate and review our show on iTunes and share it by clicking the social media buttons at the bottom of this page!